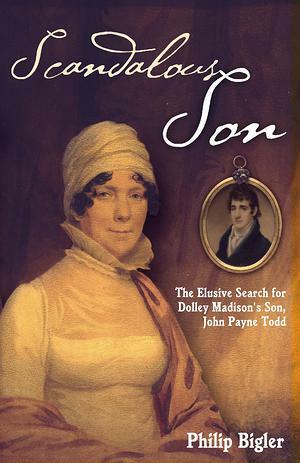 John Payne Todd, Dolley Madison s only surviving offspring from her brief first marriage, would always be a privileged and spoiled child. His doting mother appeared oblivious to her son s many faults and may have even been guilty of enabling and encouraging them. In 1794, the recently widowed Dolley married James Madison. The 43-year old Virginia Congressman willingly served as a surrogate father to the boy and together they would forever refer to Payne as our son. It soon became apparent, though, that Todd could never live up to the Madison s high expectations and aspirations for him. Indeed, Payne was forced to bear the incredible burden of being the only direct heir of two of the seminal figures of the early American republic. It is small wonder that he was destined to disappoint. For too long, countless numbers of historians and Madison biographers have hastily dismissed Payne Todd as a pathetic alcoholic, a petulant ingrate, and a greedy opportunist. Although such assessments are not without a degree of merit, historian and National Teacher of the Year, Philip Bigler, persuasively argues that Payne Todd s entire life was instead a futile struggle to establish his own personal identity. Unfortunately, he was never able to escape the weighty shadow cast by the Madison s. Like many of the children of other great people, Payne would not fare well nor would he be afforded the luxury of private failure or personal anonymity. Compounding his difficulties was the fact that he had no brothers and sisters to help ameliorate his burden. He would die without redemption, acknowledging in the end that, I have always been my own worst enemy. Philip Bigler, who served as the director of the James Madison Center for nine years, brings his historical expertise and skill to Scandalous Son. The book is a fascinating parable about the dark side of the American dream an allegory of the rags-to-riches-to-rags phenomenon that has all too often plagued the heirs of the republic.